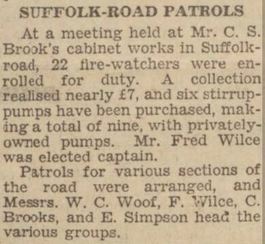 In about 1931 Mr C.S. 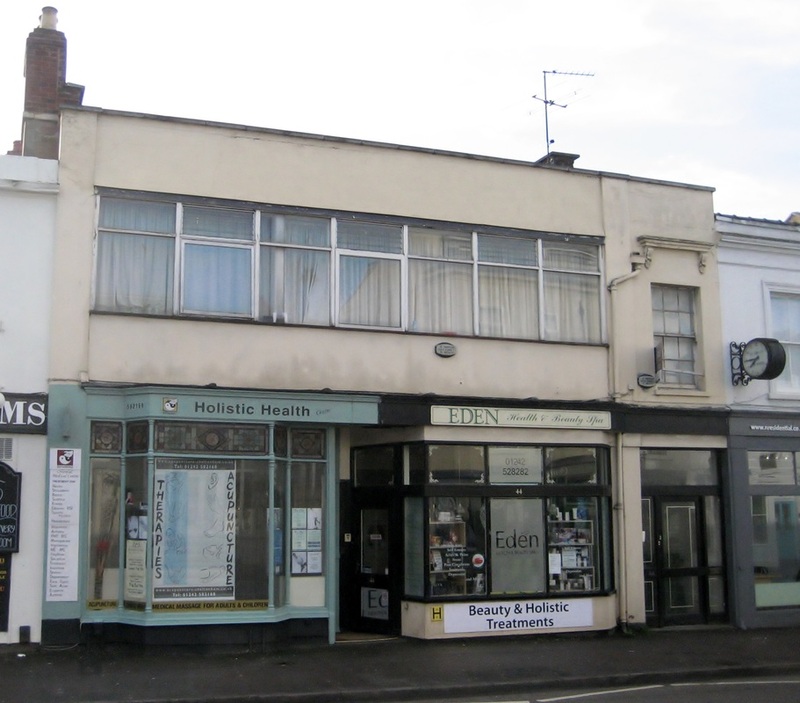 Brookes acquired these premises and the shop next door at 44 Suffolk Road for his furniture making and retailing business, Cheltenham Cabinet Works Ltd. 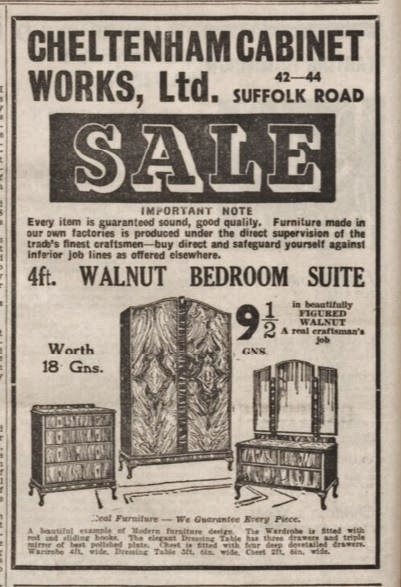 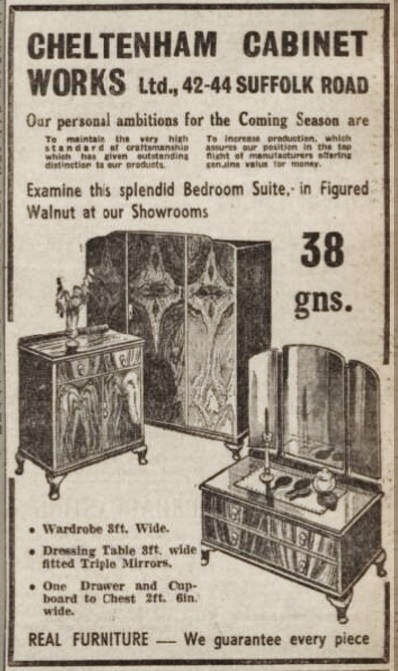 This company previously had its showroom and factory at 152 High Street in the late 1920s and, even earlier, were in Portland Street. 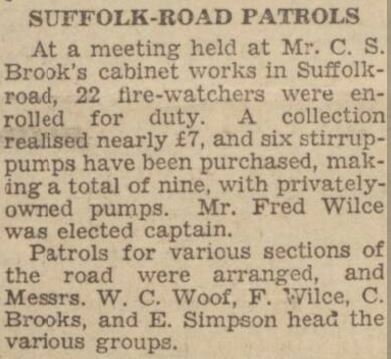 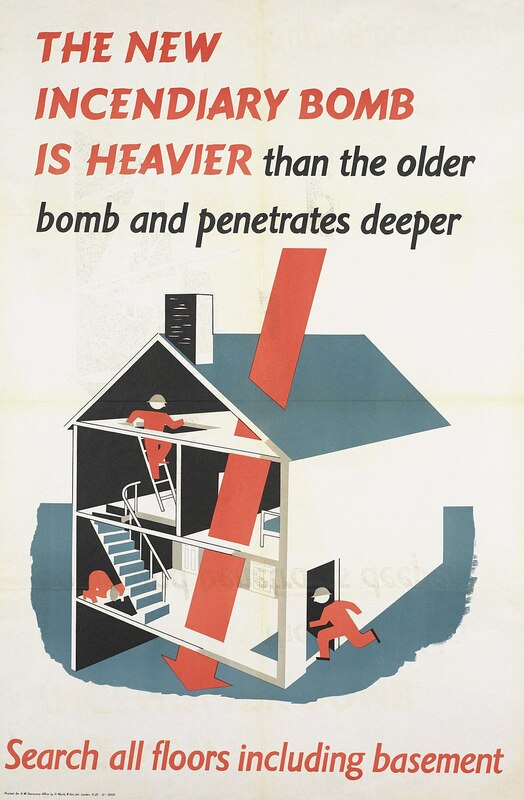 During World War II Mr Brookes made these premises available for the fire watchers guarding against the dropping of incendiary bombs by enemy aircraft.